Oil meet scrub. Scrub meet oil. 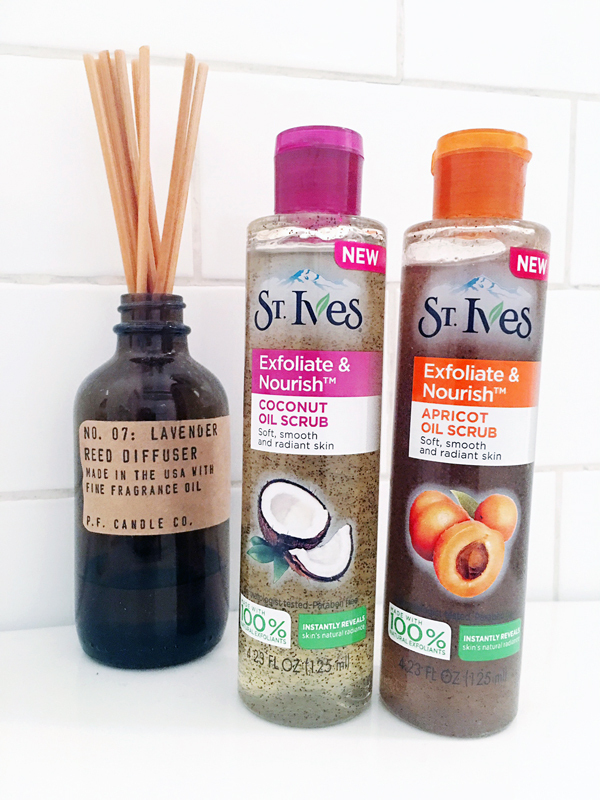 Introducing a fresh new way to cleanse and exfoliate: St. Ives Apricot Oil Scrub and Coconut Oil Scrub. St. Ives is Americas No. 1 scrub brand so it’s no surprise they’ve launch the first ever oil scrub on the market. The scrubs are made with 100% natural exfoliants and pure grapeseed oil. The coconut shell powder makes for an exfoliant while the pure grapeseed oil nourishes the skin. Unlike traditional scrubs, using the oil scrub is slightly different: First, apply a small amount of oil into your palms and rub together an massage onto DRY skin. Then, add warm water and continue to massage in circles until the oil emulsifies and turns milky white. Finally, rinse thoroughly with warm water and pat dry. For best results, scrub 3-4x/week.